Yamaha have updated the A2 licence friendly XMAX 400 for 2018. It has improved handling to make it more agile and responsive around town, while being comfortable on longer journeys. It has the same quality feel and similar performance to it’s big brother, the TMAX, for a fraction of the price. 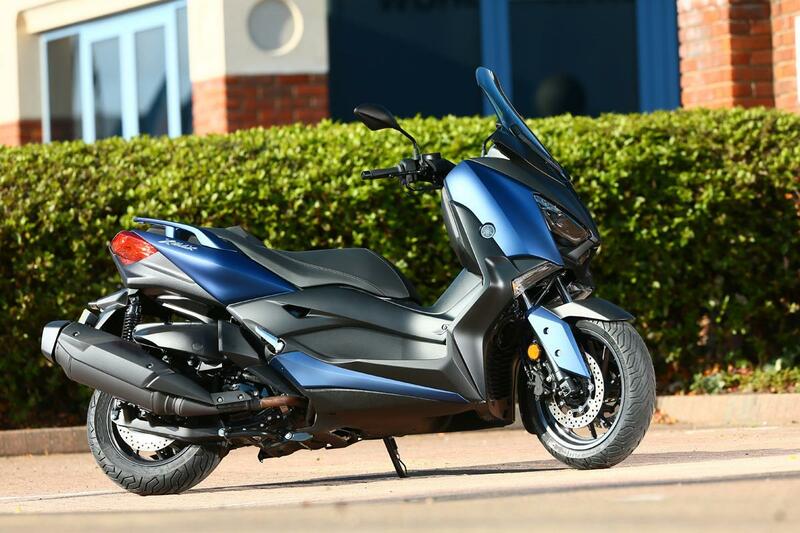 The wheelbase has been shortened to make it 50mm shorter than its nearest rival, the Suzuki Burgman 400. 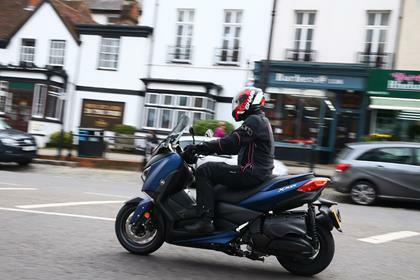 Combine this with 15-inch wheels and the Yamaha is agile and manoeuvrable around town. Fitted with quality Michelin City Grip tyres and traction control. The twin shocks have five step pre-load adjustment. 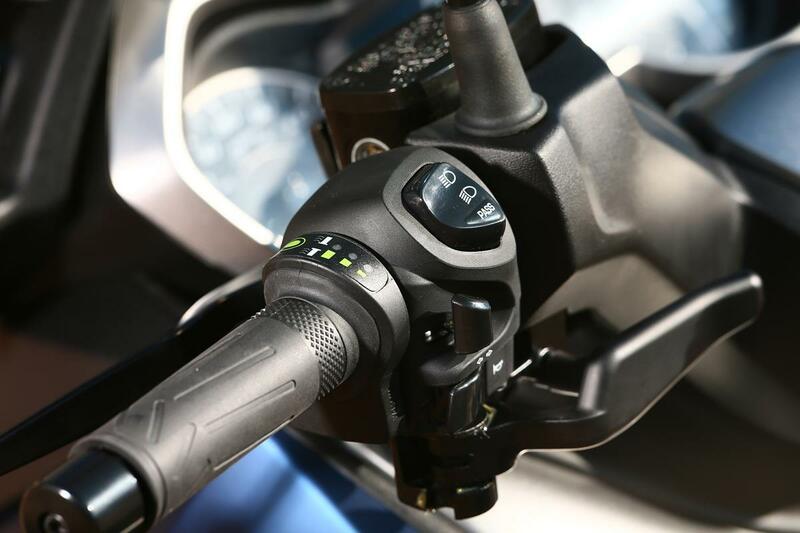 Handlebars are two-way adjustable, with two fixed positions, 20mm apart. The screen is also manually adjustable and can be fixed in two positions, 50mm apart. Twin front brake discs and twin piston calipers are powerful, without being grabby and ABS is fitted as standard. There is a handy parking brake, a must when parking big scoots on an incline. The 33bhp engine is Euro4 friendly. It’s responsive and smooth in city traffic and on open roads it doesn’t get left behind and has enough punch for higher speed overtakes. 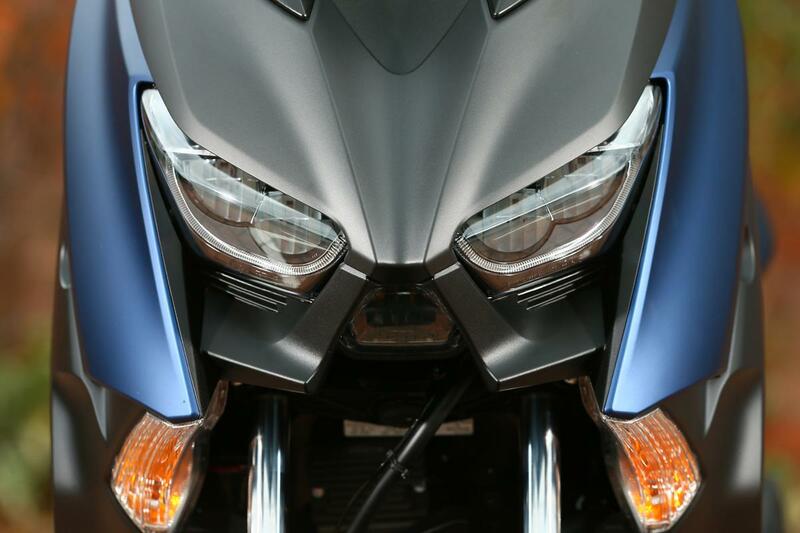 Yamaha’s MAX range has been around since 2001 and there are no known major issues with reliability. 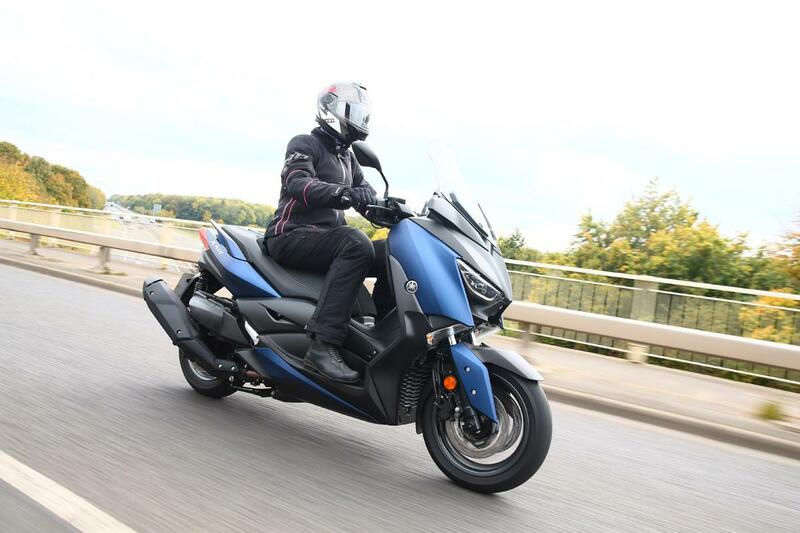 The XMAX 400 is almost half the price of the TMAX but has the same quality feel and attention to detail. There are nice touches, such as the metal decal on the seat, that gives the scooter a touch of class. Service intervals are every 6000 miles or 12 monthly, other scooters in this class need servicing more frequently. We averaged 65mpg during our test, which means the tank range is around 185 miles. 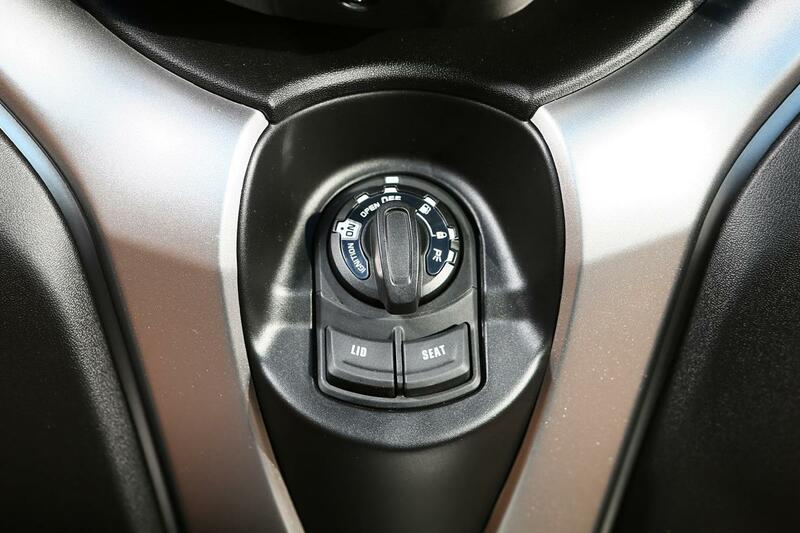 Yamaha have fitted an immobiliser and it has keyless ignition, used in conjunction with a dial on the centre console, operates ignition, steering lock and access to the storage compartments. An alarm sounds if you leave the bike unattended without switching it off, annoying but useful. Storage space is practical and sizeable. 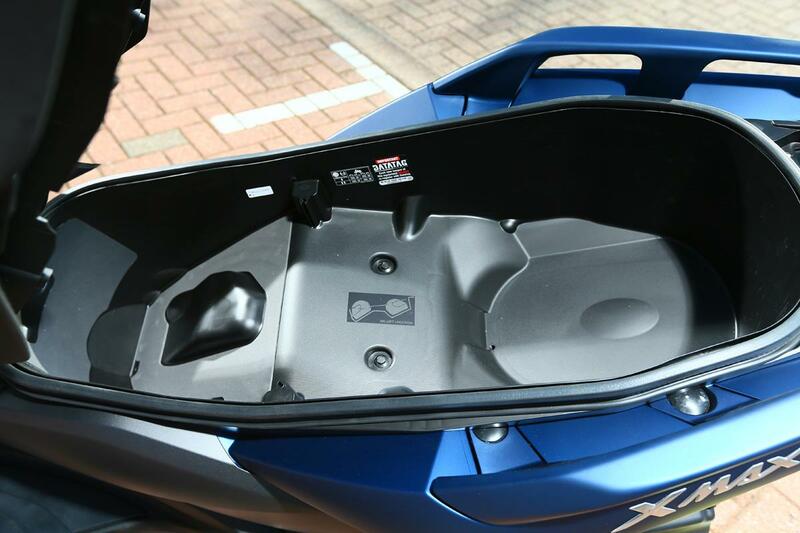 The lit under-seat compartment holds two full faced helmets and there are two glove boxes, one of which is lockable and houses a 12v charging point. 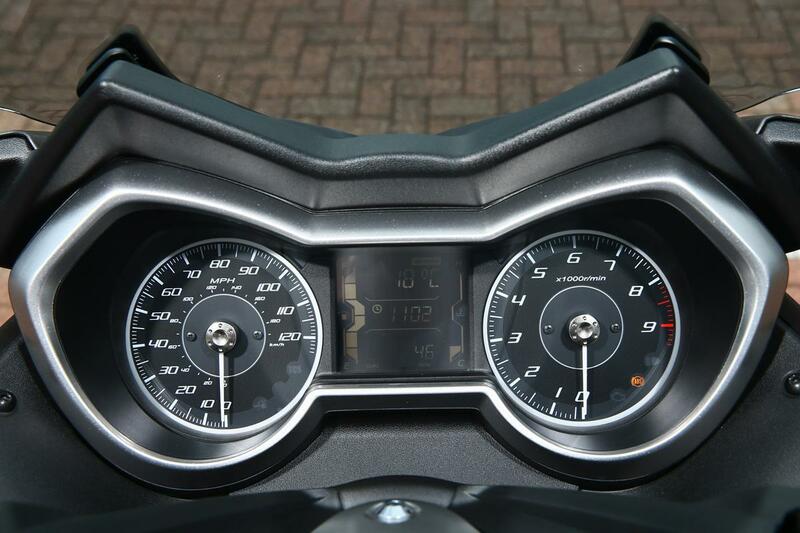 A combination of analogue dials and LCD dash are clear and easy to read. With a quick flick of a switch, you can scroll through the display to reveal useful information, which includes MPG. 2018 - Euro4 updates, keyless ignition, shortened wheelbase, reduced weight. 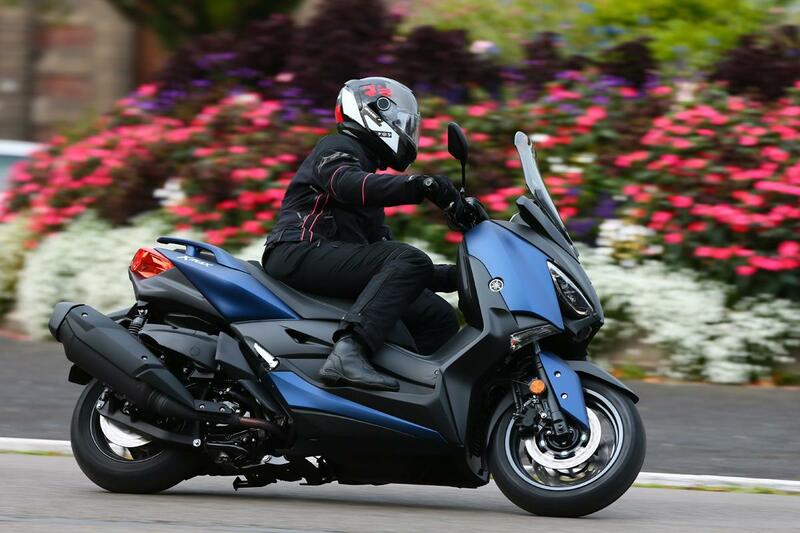 2 owners have reviewed their YAMAHA XMAX 400 (2018-on) and rated it in a number of areas. Read what they have to say and what they like and dislike about the bike below. The best part is the high riding position which is comfortable even for touring. The worst parts are mirrors supports that need to be taller and wider out. Overall, I'm very pleased. We (the girlfriend and I) did an 800km two-day tour in Northern Spain through hills, mountains, back roads and motorways. Flawless performance and extremely comfortable. Feels like a larger touring bike even with two bags on board spending 5 hours a day riding. City riding is good at great visibility with a high seat. Great highway performance and passing power with passenger and bags uphill. Great Mileage for a 400cc. Adjustable handlebars and adjustable windshield made a huge difference. Rides well, strong engine, good storage, decent weather protection, and big enough for two up riding. Downsides are Yamaha's build quality, which is not the best, and the dealer support which could be better. Dual rear shocks are fiddly to adjust and old fashioned when compared to other manufacturers who have moved to a mono shock on their new models. Strong engine, good brakes, good handling, manoeuvrable, fits rider with added pillion without compromising rider control. Seat is wide but hard, and uncomfortable after one hour. Strong engine. Power delivery is good for overtaking and motorway driving. Throttle response is good making the scooter easy to ride around town. Bike failed at point of delivery as ABS unit was faulty and it took two weeks to fix. Issues with rear suspension fixed under warranty. Only 1,000 mile service at present which is not sufficient to comment on longer term running costs. However, the initial service cost experience indicates that it will not be any cheaper than a standard motorcycle to run. Bike as standard is adequate, with good under seat storage, but needs the addition of heated grips and the battery charger connector in the non lockable glove box as the battery is behind the windscreen and not easily accessible for charging. Standard windscreen size is fine for people up to 5ft 11. The comfort seat is an option to be considered as standard seat gets uncomfortable after one hour. 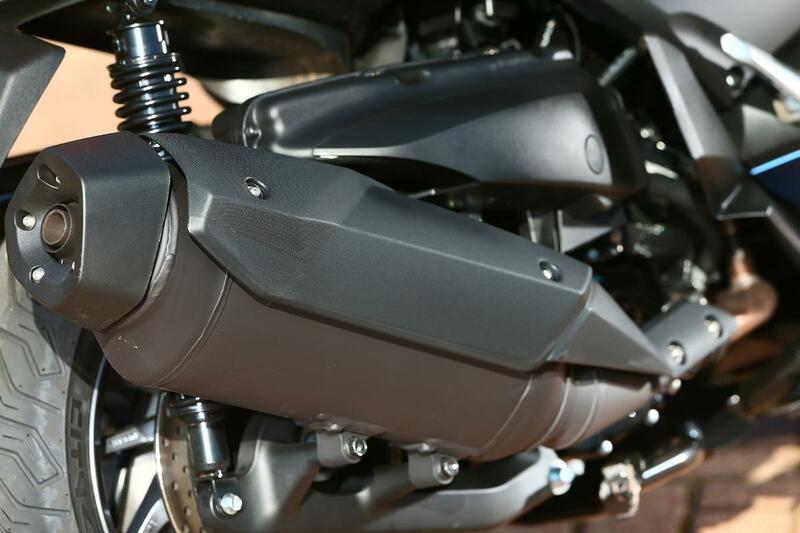 Optional leg cover is expensive and can only be fitted and removed by a dealer. Top box with backrest is recommended as it adds additional storage that is welcome on a longer trip. 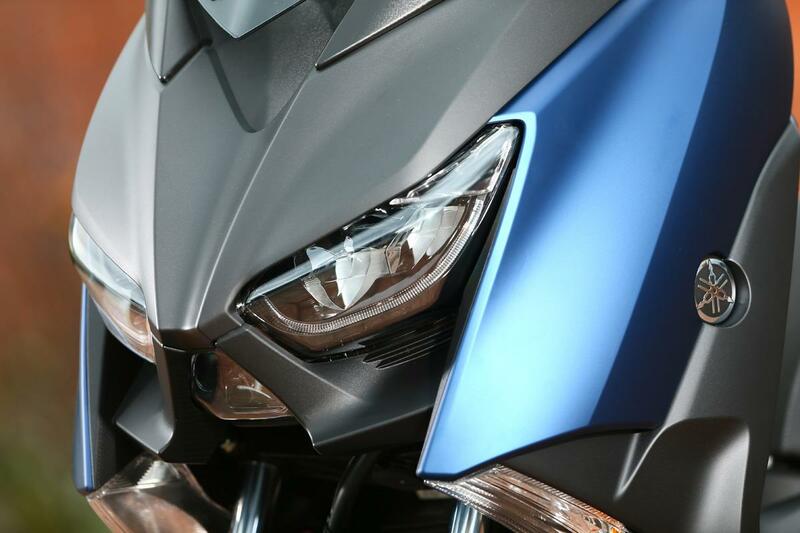 Buying experience at the dealer was good, but the bike was nor properly prepared before collection.